I was wondering if I missed something here. Is uwol 13 not going to be judged, or did I miss it somehow? I got an email from Meryem today saying she's been laid out with a major nasty virus so I'm sure something is coming soon as sson as she can get on her feet again. 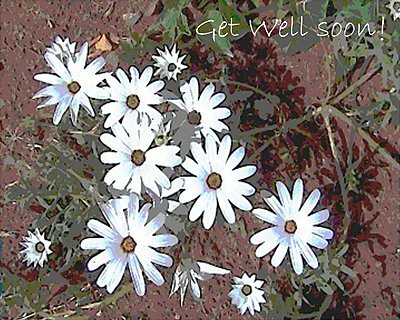 Get well soon Meryem- and don’t worry about us while doing so. Yes - don't worry about us - we really appreciate you and all you do around here. Rest and get well soon! I had a flu that flattened me for a full week, and now I'm playing catch up on everything, not just UWOL. Well, "I had the flu" is always better than "I have the flu"! Glad you're feeling better! Thanks for all your goodwill, I'm back on my feet, though I still sound like an old hag lady, this is what I get for choosing CHAOS as the theme....to add to the overall CHAOS, there will be nepotism tossed into the judging mix. The judge for this round is an aspiring filmmaker who is currently employed at my studio. He's training as a grant writer, shooter, editor, and RED Digital Imaging Technician. He is a talented writer and critic, and I hope to see more of his direct participation in our UWOL community. Please welcome my very own nephew, Brandon Ersoz to the UWOL/DVInfo family. And to answer your question, Carl, I'll let you know when UWOL #14 kicks off, once I get grounded again. I feel like June just ran away from me.